Get in the game this season with this Puremotion Solid Jersey polo from adidas! 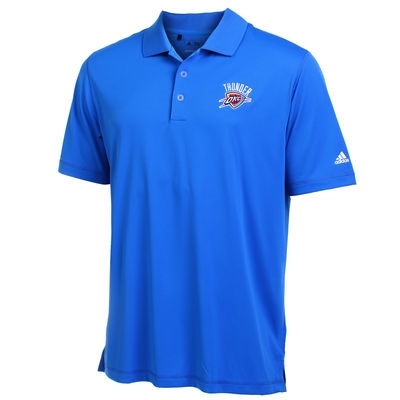 This stylish polo features an embroidered Oklahoma City Thunder logo on the chest. With this Oklahoma City Thunder polo, you’ll sport a perfect display of team pride on game day. NBA Store is your source for officially licensed Oklahoma City Thunder gear.